You’ve organised and perfected every last detail in each room of your home, and it’s been domestic bliss during the winter months. But there’s one more room you haven’t thought of. A garden room. Now the weather’s changing and for the first time this year we can venture outside without multiple layers, a scarf and coat. 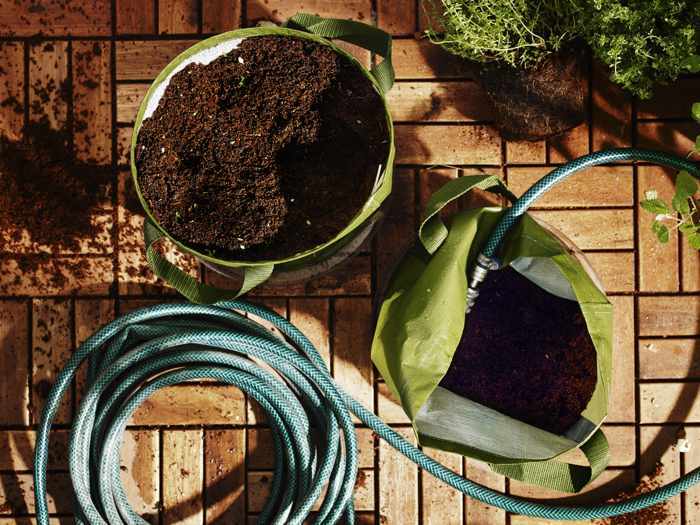 The sun is back and your garden is in need of revival. 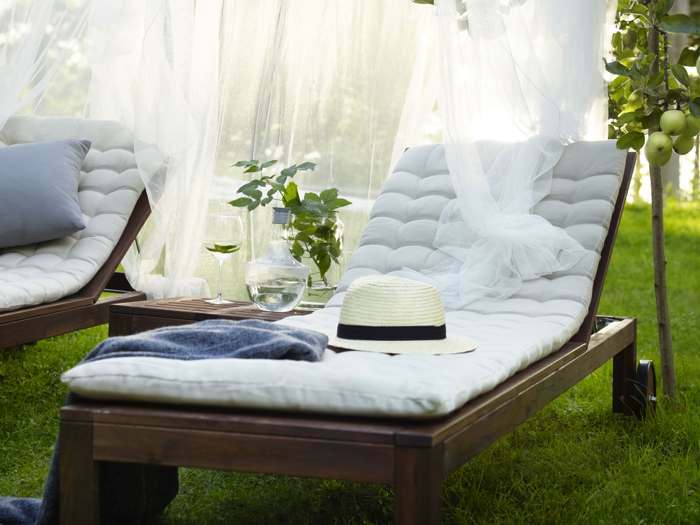 But where do you start in creating your own sheltered outdoor slice of serenity. If you don’t know already, a garden room is a specific area in your backyard, it is an area for seating, for basking in the British summer time (and hopefully some sun). 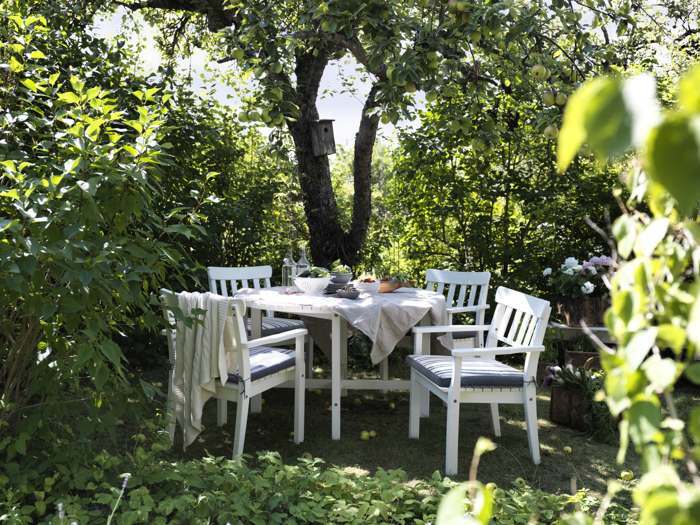 It’s a chance to add a touch of interior design outdoors. This is essential to make the most of the space you have. Some gardens lend themselves to garden rooms with very little effort required to creation and others may need extra thought and planning. The goal is to create the effect of a living, breathing room just like a sitting room in your house, but, in most cases, minus four walls. 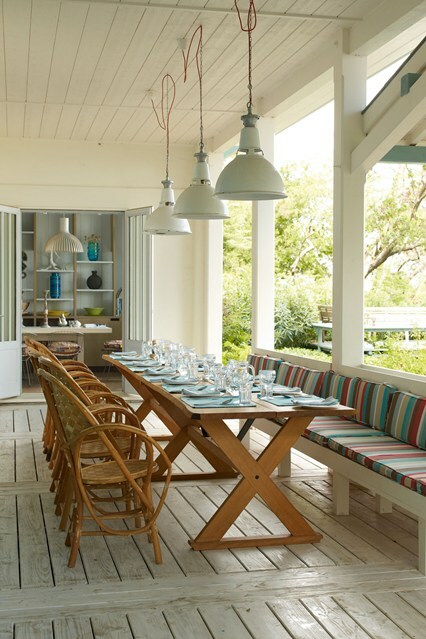 One of the defining features of a garden room is the ability to sit and eat outside which makes it a decorative yet functional space that can be enjoyed. But there are many different styles of garden rooms to choose from, here’s a selection of the best ideas. 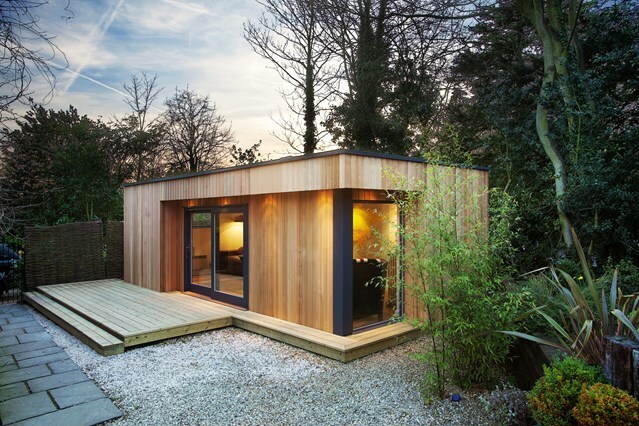 These garden rooms require no housing or walls to enclose the space. The above example uses an elegant table set-up set on a backdrop of curved overhead arches to draw focus to the centre and give a feel for the indoors outside. They’ve used floral-themed glass ornaments as centrepieces and added wine glasses and bowls of fresh bread. 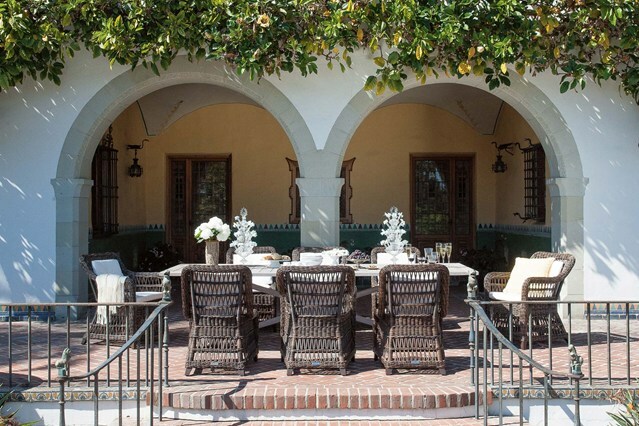 A set of rustic wicker chairs upon a red-brick patio and overhanging vines give a feel of Italian countryside manor to this LA garden. If space (and cash) is not an issue then you can create your garden room as a free-standing separate structure in your garden. This is effectively a summerhouse, but the cedar panelled ‘eco’ style makes it slot into its surrounding effortlessly. Complete with a grass roof, heating and lighting, it’s certainly big enough to turn it into the room of your choice; study, games room, kitchen or guest lodge. And best of all its unlikely it will require planning permission. Some houses have the ability to transform the space between the indoors and the outdoors. Most people use French doors, but these houses do things a little differently. 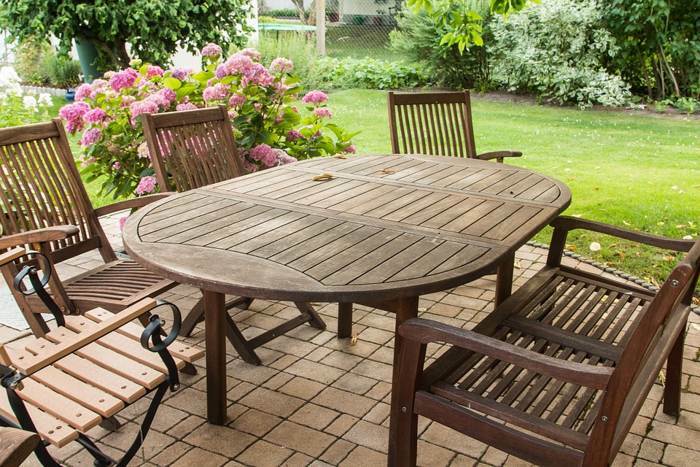 The veranda of this property is open to the elements, and leads straight from the kitchen. The design of this garden room is impeccable, and we should hope so as it was the thought child of architect, Jonathan Tuckey. The 4.3 metre long collapsible table is set upon grey wood flooring panels and a built-in bench lines the foreground. Aside from trying to make a space resemble a house or specific room that you’d traditionally find indoors, some people have bucked the trend and made their garden rooms at one with nature. 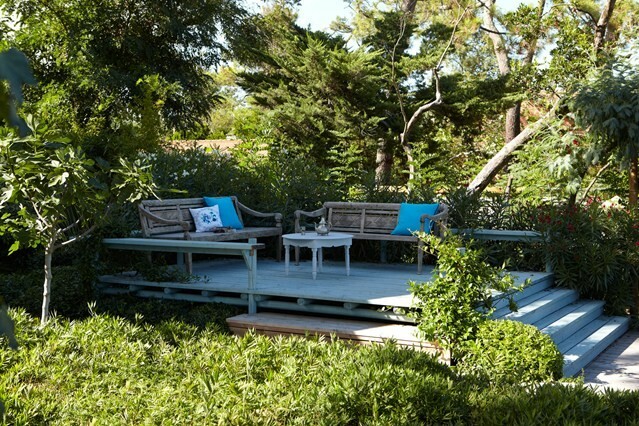 Simplicity is this glorious terrace designs strength. And with a few intelligent touches, is something that can be replicated in most gardens. 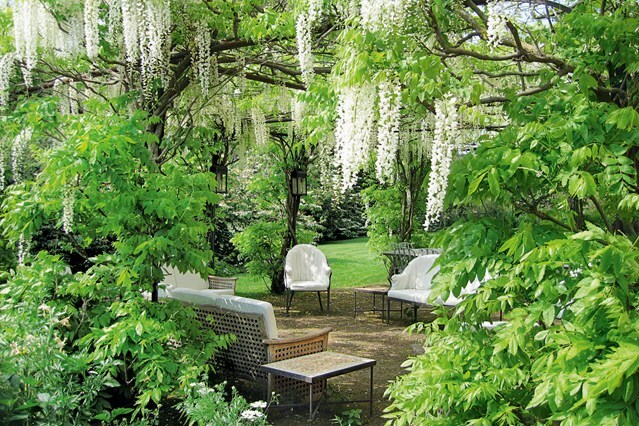 Wisteria is grown over a pergola and the branches are suspended with ties. The pergola frame has been painted a dark green to blend with the foliage making it almost invisible. Cast iron lanterns are hung on all four corners and the white cushions and furnishings have been chosen to compliment the white flowering. You truly can make your garden room in to whatever you like. Far from the standard seating area many garden rooms achieve, this garden room has glass window doors and a standalone ceramic double bath looking out over the rest of the garden. 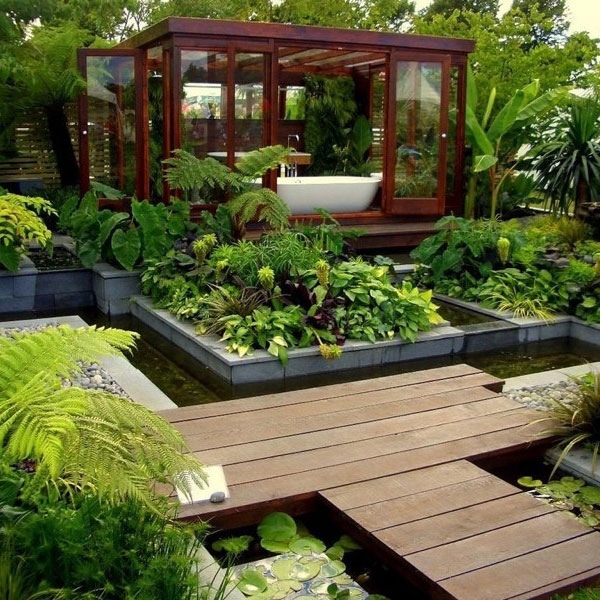 Privacy is not a primary concern for this design, but would be perfect as a romantic setting at night or a refreshing soak when the sun rises. Aphids – How Dangerous Are These Garden Pests in Reality? Aphids are every gardener’s nightmare. Curled leaves and clusters of microscopically small black, green or white creatures beneath the leaves or plant stalks covered with a thick layer of tiny insects are without a doubt a sign of aphid infestation. Although they are extremely small, aphids can cause severe damage to garden plants because they feed on plant sap and always attack plants in huge amounts. But are they really as dangerous to your garden plants as most gardeners claim? Right the opposite, they usually do not cause any substantial damage in otherwise healthy and well established gardens. Let’s see why. Gardening is a lovely hobby. But a lot of work needs to be done before you are able to enjoy a blooming garden or/and harvest lots of healthy fruits and vegetables. Unfortunately, successful gardening requires much more than just sowing and occasional watering. 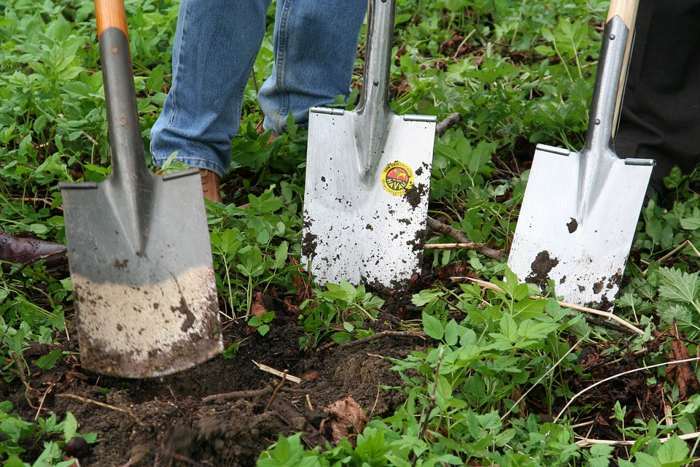 As a gardener, you have to prevent the weeds from overtaking your garden and the pests from harming your plants. However, not all insects and weeds are harmful. On the contrary, many can help you produce even more fruits and vegetables, and enhance the beauty of your flower garden. Surprised? Well, do not be because the more wildlife species visit your garden the better as no species can prevail over the other when a balance is created between the garden visitors. Furthermore, a balance between the creatures living or visiting your garden also prevents the pests from multiplying to the extent to cause damage to your garden plants. After all, the chemical pesticides and fertilizers were introduced only in the 20th century. And if the garden pests would really be so dangerous, there would not be any garden plants left by now. Creating a garden on a place you consider most appropriate may not be the best idea. The thing is that the majority of garden plants prefer sunny areas and should receive at least 6 to 8 hours of direct sunlight a day. Many of them will grow in partly or completely shaded areas as well, however, they will not be as beautiful as if planted on a sunny location. What is more, improper garden location increases the risk of pests and diseases which can spread to the healthy plants, while some plants may fail to produce blossoms or/and fruits if not receiving enough sunlight. The pests can seriously affect the yield and in worst case even kill the garden plants. What is worse, they are nearly impossible to keep out from the garden. However, chemical pesticides have been show to be the worst possible solution. They may help control the pests but they are severely toxic to the environment as well as human health. Furthermore, some types of pesticides cannot be washed off or even peeled off which means that garden fruits and vegetables are not as healthy as they were long thought to be. But there is a way to avoid the use of these extremely toxic chemicals and harvest lots of delicious fruits and vegetables. How? By organic gardening.